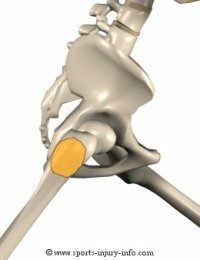 Bursitis is a common sports injury that occurs with sports that require repetitive motions. It can be found at the shoulder, hip, or knee, and if left untreated, can curb sports performance. Prevention and proper treatment is the key to dealing with this common sports injury. Bursitis is an inflammation of your bursa. What, you ask, is a bursa? The bursa is a fluid filled sack found in many places throughout the body. It is generally present between tendons and bones, and helps to reduce some of the friction between these two structures. 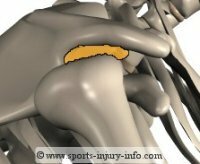 Common bursa include the subacromial bursa in your shoulder, the trochanteric bursa in your hip, and the pes anserine bursa in your knee. All three of these are subject to irritation with sports activities. Inflammation occurs when the stresses placed on a tissue are greater than what the tissues can handle. While inflammation can be caused by acute trauma (an ankle sprain), inflammation of the bursa is considered more a chronic injury. Repetitive activities like running, jumping, or overhead throwing are the most common causes. These repetitive motions cause an increase in the amount of friction present between the bursa and the surrounding tendons or muscles. The bursa becomes irritated, and an inflammatory response occurs. It is painful, and may produce small amounts of swelling. Tenderness to the touch, and increased pain with active motion of the joint is also common. Since this injury is caused by increased friction between the bursa and the tendons, proper flexibility is the key to preventing this injury. As flexibility increases, the tension on the tendons is reduced, thus reducing the friction created between the bursa and the tendon. Less stress on the bursa means less irritation. A good warm up and stretching prior to activity is essential. For extremely tight joints, stretching 1-2 times a day is also effective for increasing flexibility. In addition to flexibility, the use of ice following activity is also an effective prevention method. For overhead throwing athletes, and other sports that have repetitive motions, icing following participation helps to reduce the overall irritation in the area. If you are suffering from bursitis, rest from aggravating activities is the best initial treatment. 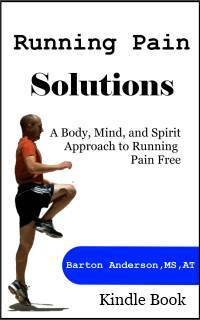 Decreasing the stress on the tissues allows for healing to occur, and for the inflammation to settle down. Application of ice is also an effective treatment. Ice helps to reduce inflammation, and to relieve pain and discomfort. Anti-inflammatory medications can also be effective in treating this sports injury. Once your symptoms have calmed down, you should start a flexibility program to help treat the problem. While bursitis is not as common as tendonitis or other acute sports injuries, it can be frustrating and limit your sports performance. Proper flexibility and warm up routines, as well as preventative use of ice can help reduce the occurance of this injury.